Earlier this month, we discussed lights available for railings. Lighting plays a crucial role on railings, enhancing the structure’s safety and security in a variety of ways. It reduces the likelihood of falls, can help you keep an eye on children or pets, allows you to spot trespassers, and may even scare off burglars and other lawbreakers. In addition, lighting can help you illuminate and show off your railings. If you select the right lighting products, you can form a cohesive design instead of tacking on a light that clashes with the railing’s style. We discussed several Magena Star post lighting products in our last blog post, but now we’d like to announce a few more: the new Magena Star Ornamental Lights. 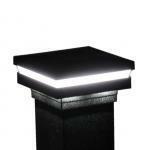 All Magena Star Ornamental Lights feature a slim profile and sleek design. These are plug-and-play DC lighting systems as well, so you won’t have to hire an electrician or complete a complicated installation to enjoy your new lights. Magena Star Ornamental Lights are simple, streamlined, and stylish. Low maintenance and crafted with precision, these DC-powered LED lights can add life and radiance to your outdoor space. As with all Magena Star products, the new Ornamental line is made with high-quality materials and long-lasting LEDs that are rated at 50,000 hours. They utilize a single, low-voltage DC power supply and are easily installed. Please visit the Magena Star Ornamental page and select the “Features & Options” tab to view the exact products available. Within this line, you will find post-cap, tear-drop, and side lights in several sizes, ranging from two to five inches. We also offer output splitters, wire harnesses, dimmers (with remotes), and transformers (with photo eyes, timers, and remotes). What is a plug-and-play light? As plug-and-play lights, Magena Star Ornamental lights are amazingly simple to install. You can save money because you won’t need to hire an electrician or purchase any special tools. Once you install and plug in your lights, they will be ready to go immediately. Simply turn them on! Please note that the five-inch post cap light is only available in white or tan. If you’re not interested in the new Magena Star Ornamental Lights, be sure to explore our other options. In our online store, you will find several other lighting products. 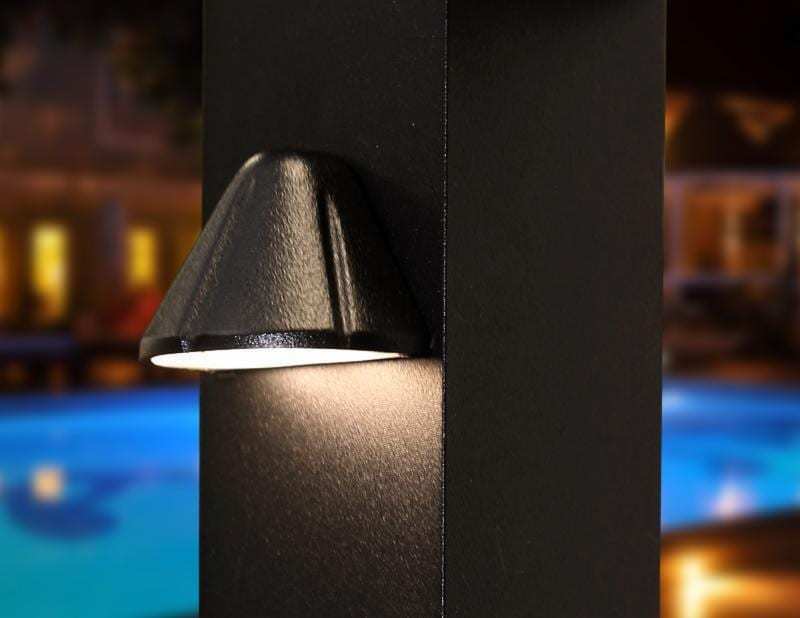 You might be interested in solar lights, which harness energy from the sun, or side-mount lights, which are compact lights that keep a low profile by attaching to the sides of posts. 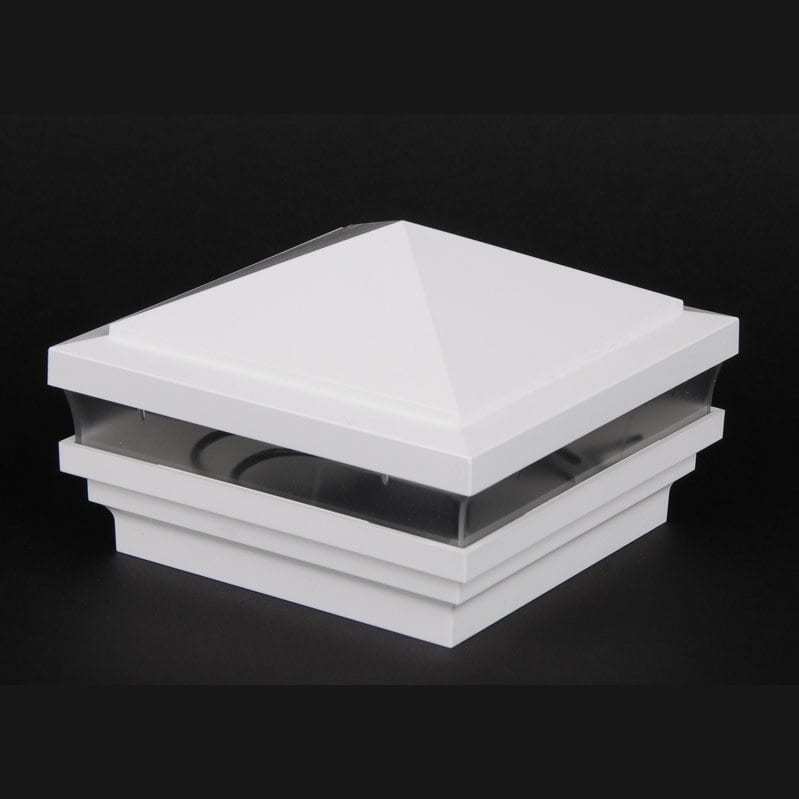 Magena Star Solar Light – Multi-Layer Rectangular Edge: Designed to absorb powerful energy from the sun, this solar light comes with ribbed glass and 700 mA batteries. The lights can illuminate for up to 14 hours. This square-edge style can fit 2-inch and 2.5-inch posts, and it is available in black fine texture, brown fine texture, gloss white, satin black, and speckled walnut. This product is also available with a low-voltage light (7-watt bulb) in 2-inch and 2.5-inch sizes. Magena Star Solar Light – Flat Edge: This solar light is also designed to absorb powerful energy from the sun and comes with 700 mA batteries and ribbed glass. The lights can illuminate for up to 14 hours. This flat-edge style can fit 4-inch and 5-inch posts, and it is available in twelve finishes: black fine texture, brown fine texture, bronze fine texture, white fine texture, chocolate, gloss beige, gloss white, ninety bronze, sandy shore, satin black, and speckled walnut. 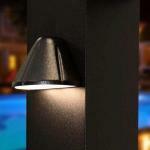 This product is also available with a low-voltage light in the 4-inch size. Magena Star Side-Mount Light: A low-voltage light with a brilliant LED, this light can be mounted onto the sides of your railing posts. Its sleek, compact design complements a variety of railing styles. Finally, as you might have guessed from our name – MMC Fencing & Railing – we offer more than lighting products. If you’re interested in buying a new railing or fencing system, browse the products in our online store. We specialize in aluminum and vinyl railing and fencing, and we offer an assortment of products that vary in style, color, size, and price point. If you have any questions, please give us a call at 1-866-931-5002 or contact us online.